Large sections of the files are blacked out, including names of those believed by the FBI to be plotting the deaths of Occupy activists in Texas, perhaps nationwide. Gibson, one of the leaders of Occupy Houston who could have been in a sniper’s cross-hairs, called on Mueller to resign his post. What is this all about? Snipers? 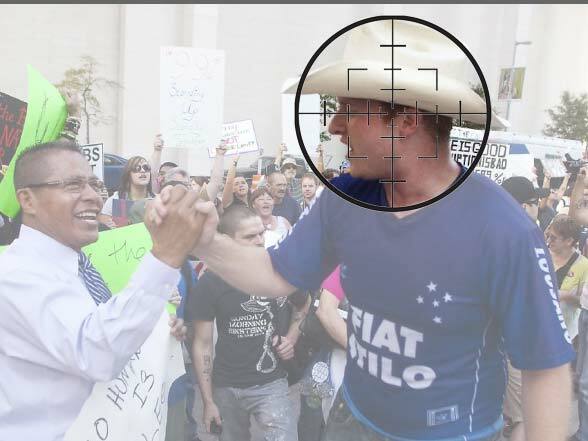 A set of documents released to the Partnership for Civil Justice Fund by the FBI as a result of a Freedom of Information Act request included a page, some of it blacked out, showing that there were early plans to use suppressed sniper fire to kill leaders of Occupy Houston. He added that the phrase “if deemed necessary,” which appeared in the bureau’s report, further suggests the possibility that some kind of official organization was involved in the plan. So, what are we to believe? We can’t say that we both believe and disbelieve the FBI. Their report, in black and white, details the fact that they were aware of a plot to shoot and kill leaders of Occupy Wall Street groups in Texas, and perhaps across the nation. The mainstream media does not seem to have much interest in this story. Information at the Partnership for Civil Justice Fund includes links to the FBI documents themselves, so their authenticity does not seem to be in doubt. 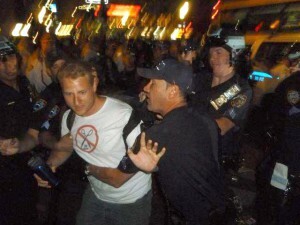 Why has a plot to kill peaceful demonstrators in major US cities not been worth the notice of the corporate press? Both Kennedy and Gibson are scheduled to appear on a Spartanburg South Carolina radio talk show Monday, July 29th, between 5 and 6 PM. The program, “Occupy The Microphone“, has been broadcasting on WOLI since March of this year. The show is very unusual for the area as it takes a left-of-center approach to the issues, especially when compared to most of the offerings on local talk radio in the Upstate of South Carolina. Readers who would like to know more can listen to the show live at five east coast time by visiting the show website at OccupyTheMicrophone.com or listen to the live stream at the show Talkshoe stream or the radio station’s streaming broadcast. Gregg Jocoy lives with his wife of 33 years and her mother in Simpsonville, SC. He is dad to two brilliant daughters and granddad to two amazing granddaughters. Jocoy is also active in the South Carolina Green Party and the Green Party of the United States. 1 Comment on "FBI Files Show Snipers Targeted Occupy Houston"
I am not in the least surprised. Look at the Northwoods report given to Pres. Kennedy when the Cuban missile crisis was current news. The military and intelligence community wanted to kill US citizens and blame it on the Cubans. This would be a reason to invade Cuba and annex it to the US. Kennedy rejected the paper out-of-hand but it just goes to show to what extent these guys will go to maintain the powers that the puppeteers have in this “democracy”.